The European Roma Spirit is an expansion of the Roma Spirit project being implemented in Slovakia and Czech Republic since 2009. The Roma Spirit in Slovakia and Czech Republic contributes significantly to the positive presentation and promotion of cultural identity of the Roma community as an important part of our society and cultural heritage. Václav Havel, the former president of Czech Republic, took the Auspices of the Roma Spirit in Czech Republic and was the Chair of Jury in 2009 and 2010. 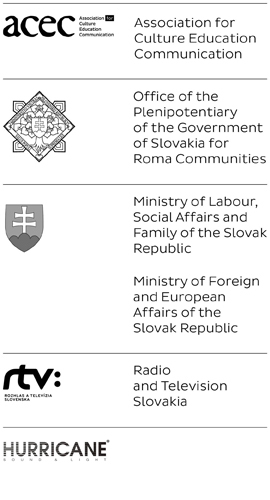 Roma Spirit in Slovak Republic is held under the Auspices of the President of the Slovak Republic. The national broadcaster is broadcasting the award giving ceremony in both countries. Over the years, more than 1800 nominations for the Roma Spirit Award have been received solely in these two countries. Commissioner for Human Rights of the Council of Europe Nils Muižnieks in his report, following his visit to the Slovak Republic in 2015, wished to highlight and commend an example of good practice: the “Roma Spirit Awards” organised in Slovakia by the Association for Culture, Education and Communication to acknowledge individuals and organisations involved in projects and activities aimed at improving the situation of Roma is a useful initiative for showcasing Roma inclusion practices. The preparatory step taken in favour of the European Roma Sprit initiative was the ERSA Forum, international conference held in Bratislava, Slovakia on November 2015. The ERSA Forum was held under the auspices of Miroslav Lajčák, Minister of Foreign and European Affairs of the Slovak Republic. The ERSA Forum 2015 was open by a welcoming note by Mr. Štefan Rozkopál, Head of the Office of the President of the SR. The high level event encouraged the participants from governments, civil society, and other stakeholders to engage to common endeavour to work together to ensure maximum impact of the achieved improvements and success in Roma integration and to form an active international cooperation. The first ever ERSA Award giving ceremony was held in October 2016, under the Auspices of the Minister of Foreign and European Affairs of the Slovak Republic, Mr. Miroslav Lajčák, and the Minister of Labor, Social Affairs and Family of the Slovak Republic, Mr. Ján Richter. European Roma Spirit Award 2016 was chosen to accompany the official program of the SK PRES 2016 “Empowering Roma youth as a driver for change”. The involvement of the 23 counties, the fifteen shortlisted nominations, and ERSA 2016 Award laureates are the most tangible prove of the effective approaches in the Roma integration over the Europe. The five laureates of ERSA 2016 Award were chosen by the International Jury lead by Věra Jourová, EC Commissioner for Justice, Consumers and Gender Equality.